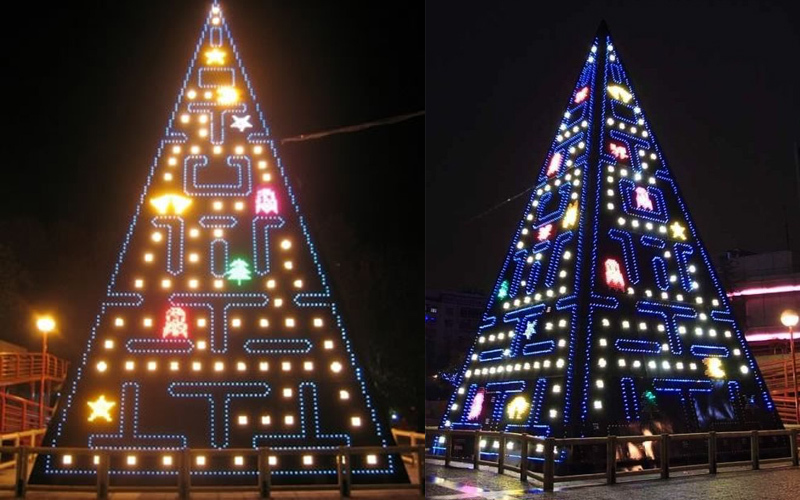 If It's Hip, It's Here (Archives): From Pac Man To Porcelain, Five of The Most Spectacular and Unusual Christmas Trees From All Over The World. 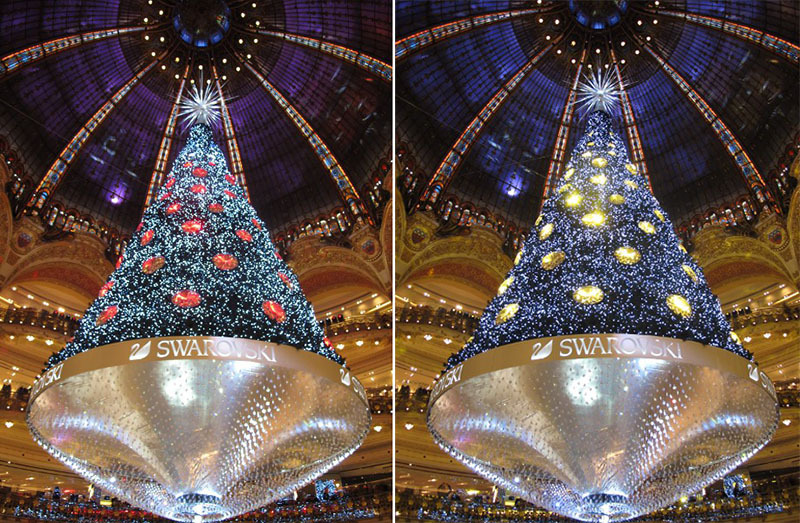 From Pac Man To Porcelain, Five of The Most Spectacular and Unusual Christmas Trees From All Over The World. 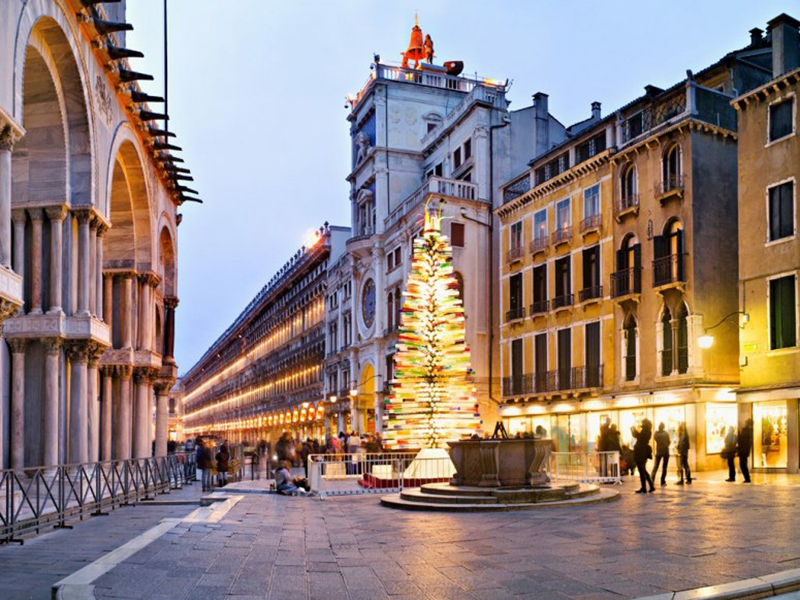 Giovanni and Simone Cenedese, motivated by a great passion for their work and for their own city, created this monumental installation for Christmas together with the Architects Studio DDF. 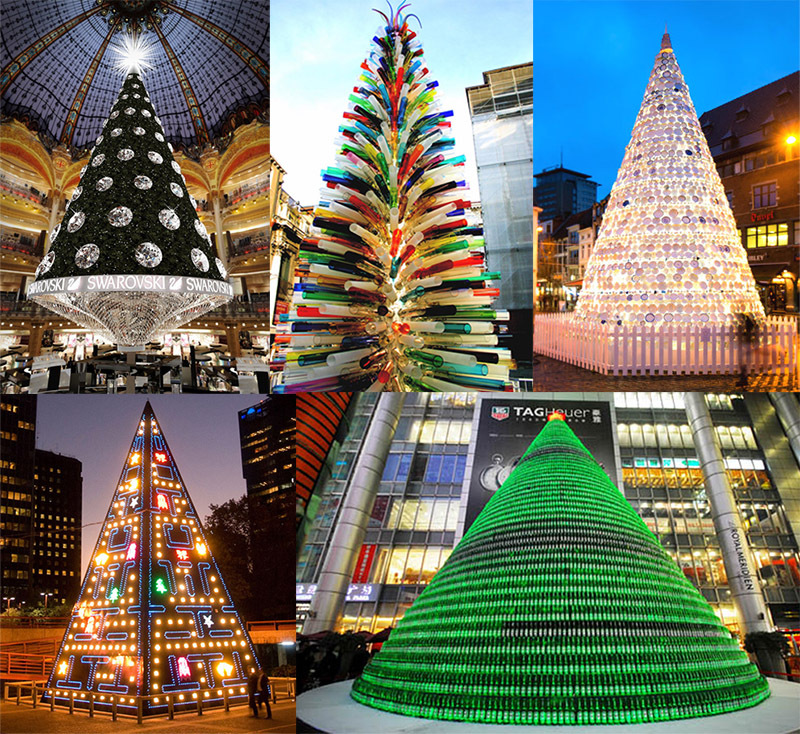 This gigantic project stands 24 feet tall and is made with 1,000 multicolored handmade and mouth blown glass tubes. 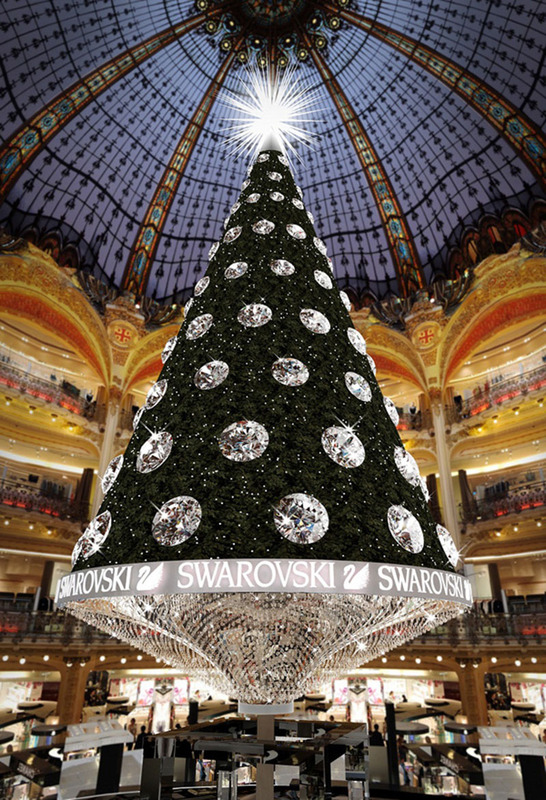 Housed inside the classic Paris department store Galeries Lafayette, the 70-foot-tall tree is dripping in 120 Swarovski crystals and rests on a chandelier base with 5,000 smaller crystals. 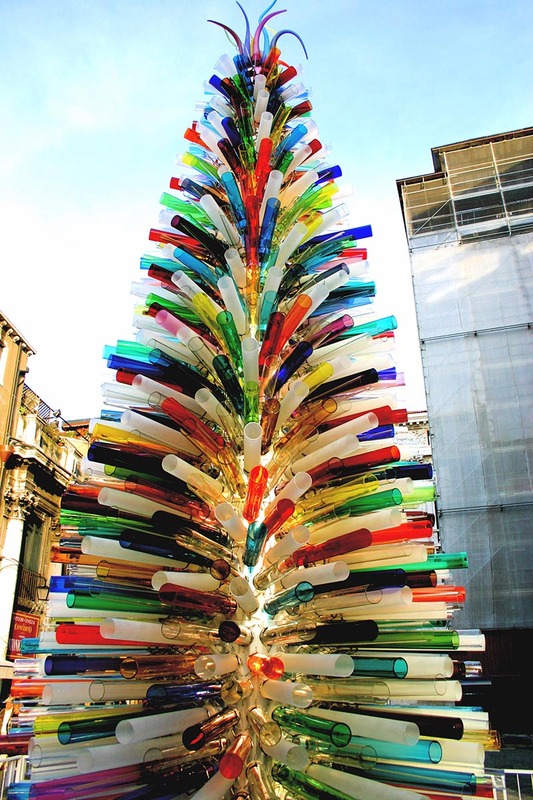 The large round crystals actually change colors from white to blue to red to gold. 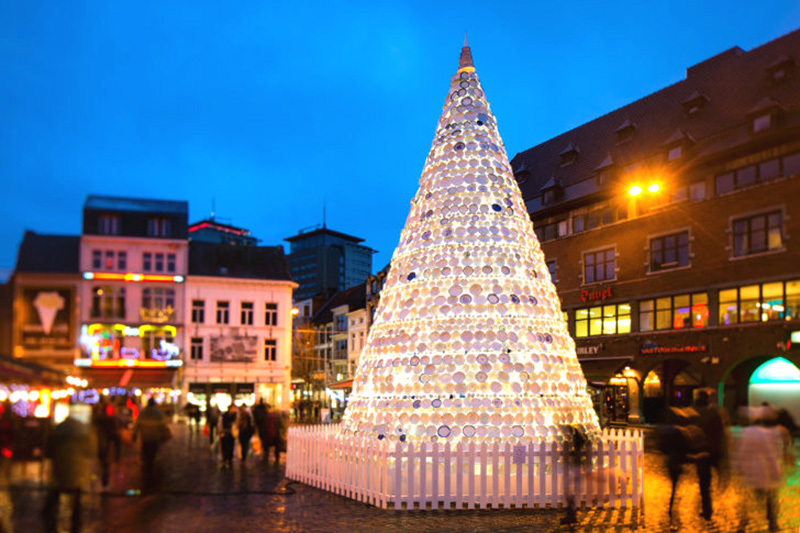 The Taste Tree is a Christmas tree made up of upcycled plates and cups sourced from local families by Inge Vanluyd and Stefan Vanbergen of the creative firm MOOZ. 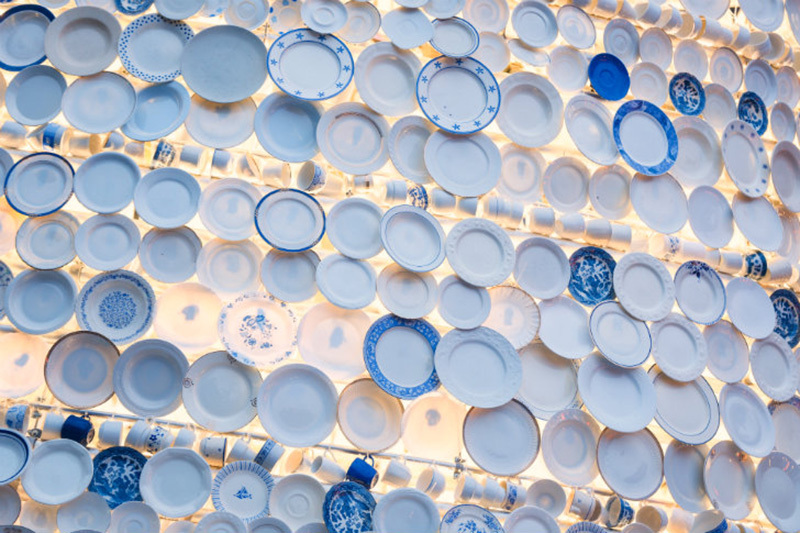 The tree stands 9 meters high and 6 meters in diameter and features around 5,000 items of crockery. 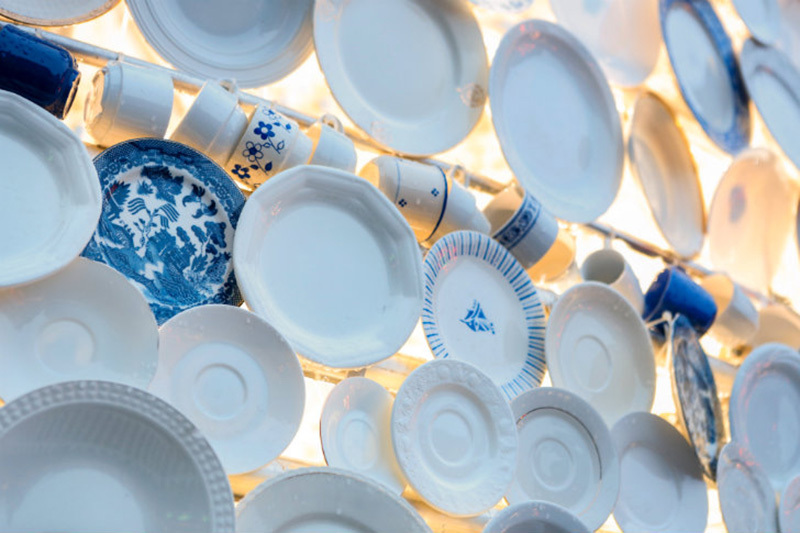 The plates and cups were sourced from Hassalt residents who raided their cupboards for odd plates and cups of white porcelain that may or may not include a gold or blue design. 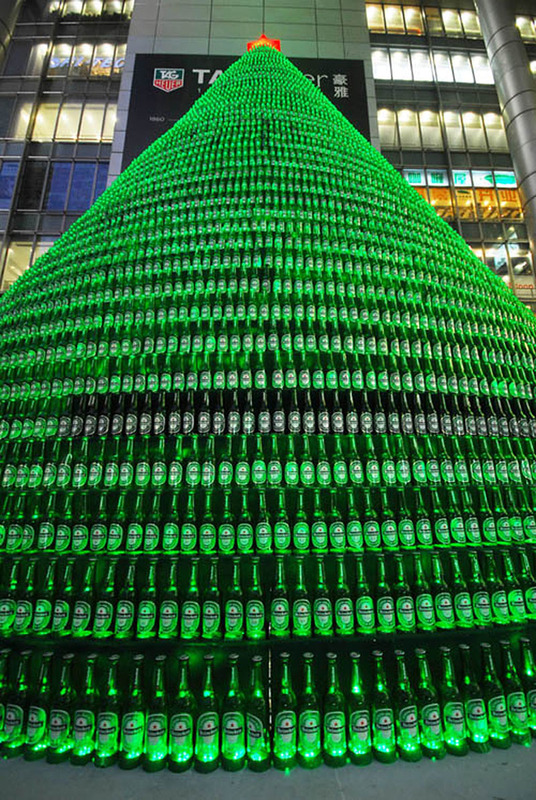 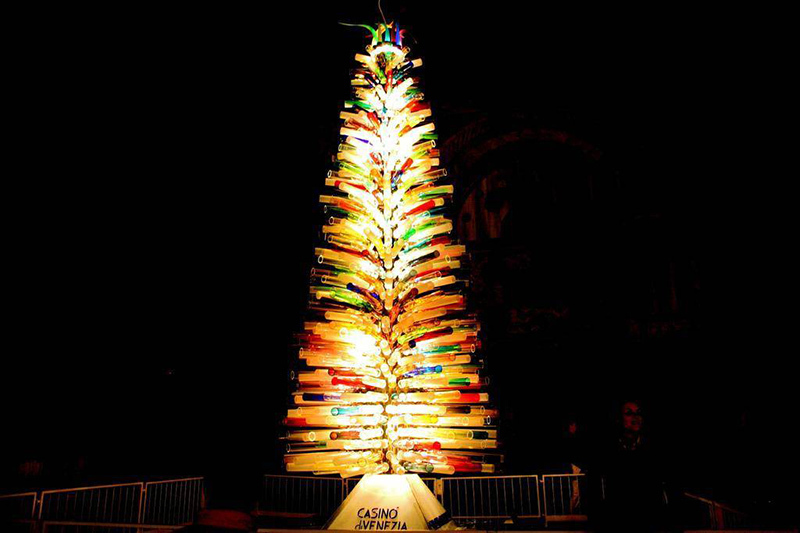 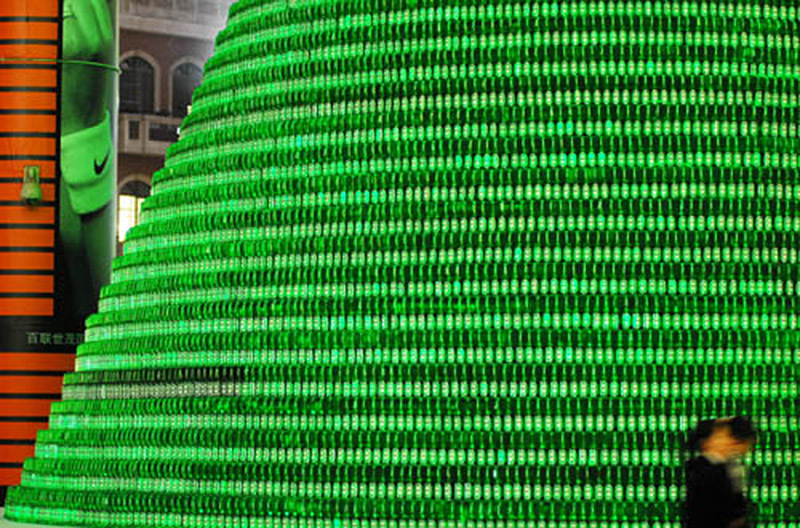 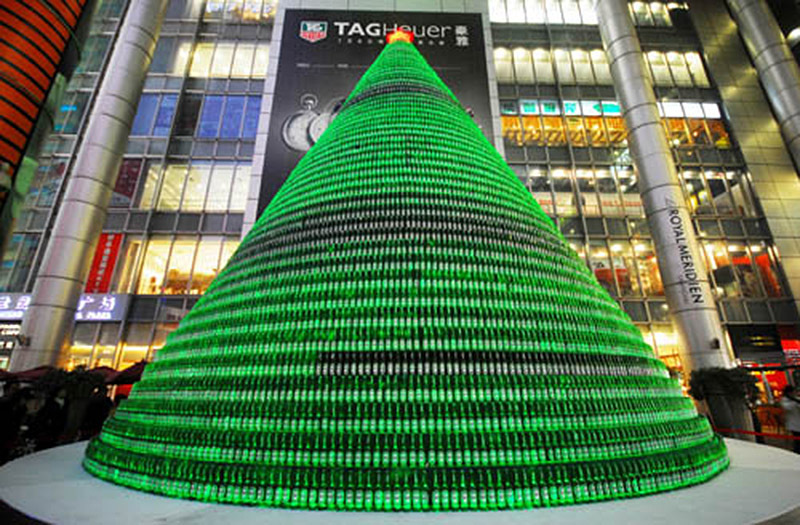 Made with 1,000 bottles of Heineken beer, this tree stands in Shanghai's commercial center of Nanjing Road. 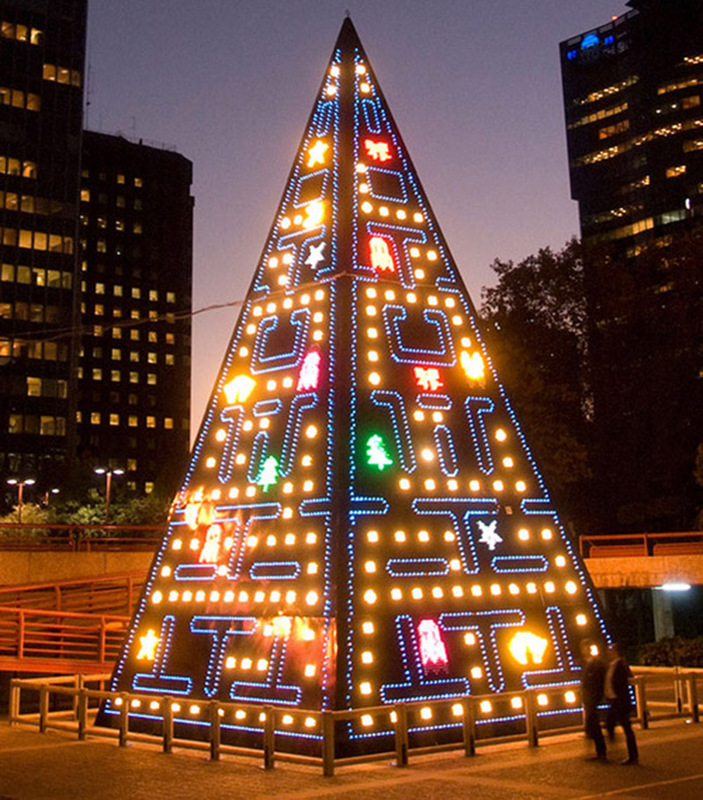 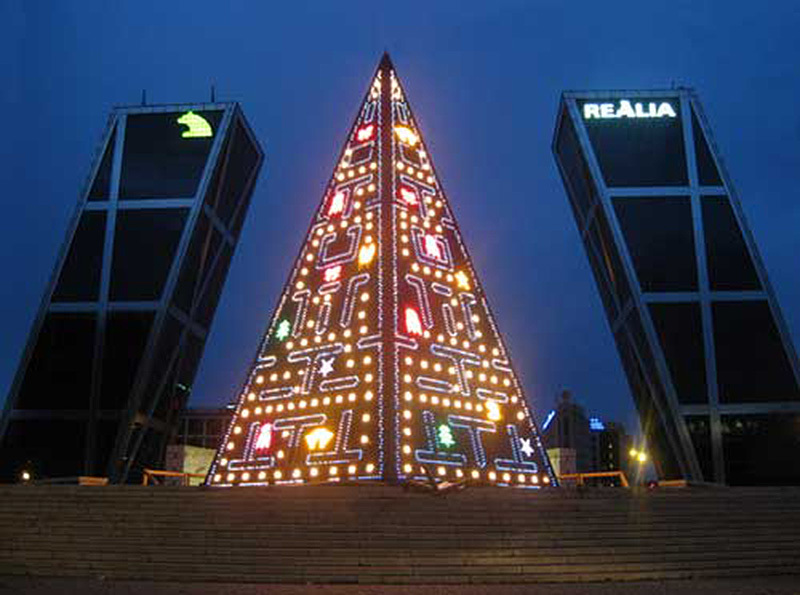 This Pac-Man Christmas Tree can be seen at Nuevos Ministerios in Madrid, Spain. 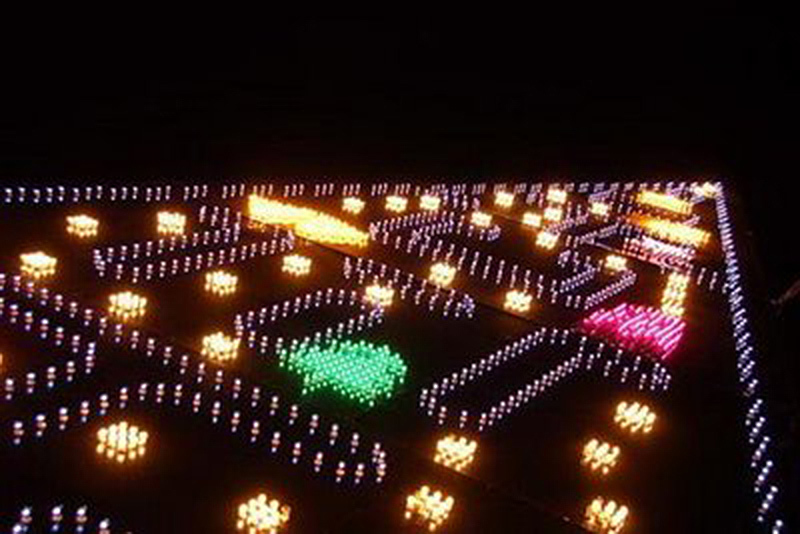 It uses thousands of multicolored LEDs to display an animated tribute to the popular classic 80s arcade video game from Japan. 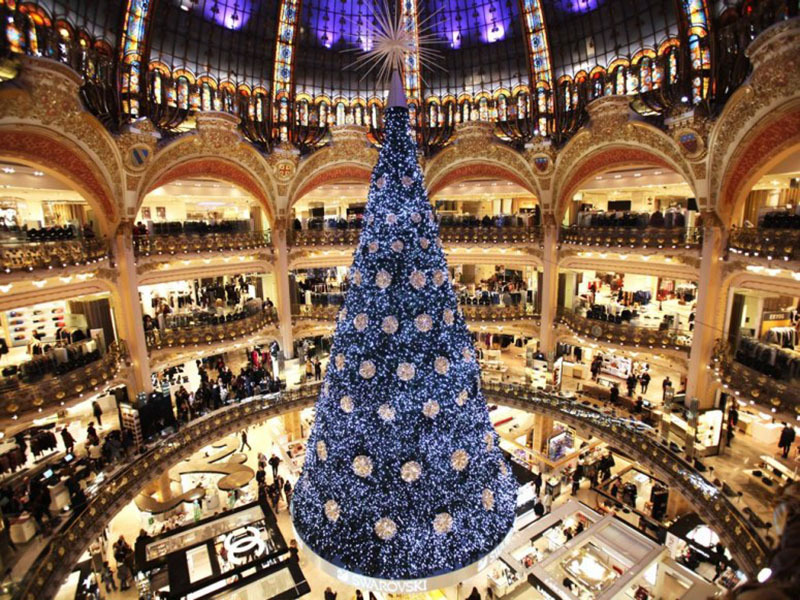 above photo by Antonio Garcia Rodriguez.